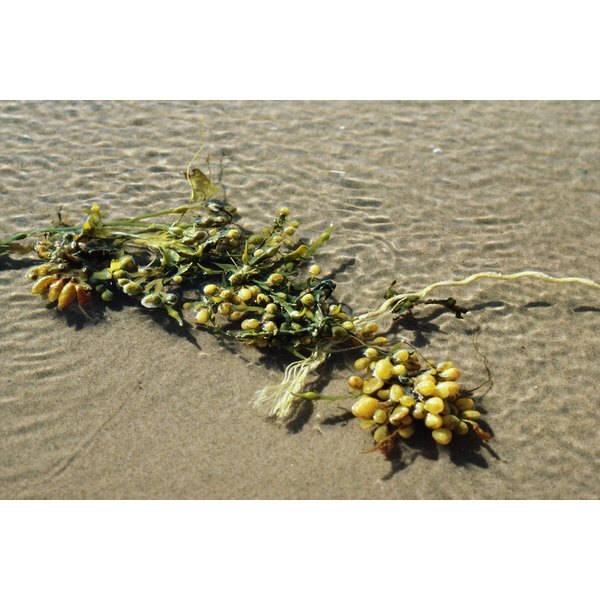 Kelp is found on coastlines with colder water temperatures. Kelp is a slimy type of seaweed that's packed with nutrients. It's rich in chlorophyll – which detoxifies the skin – and essential fatty acids and Vitamin A – which tighten and smooth sagging, dehydrated skin. 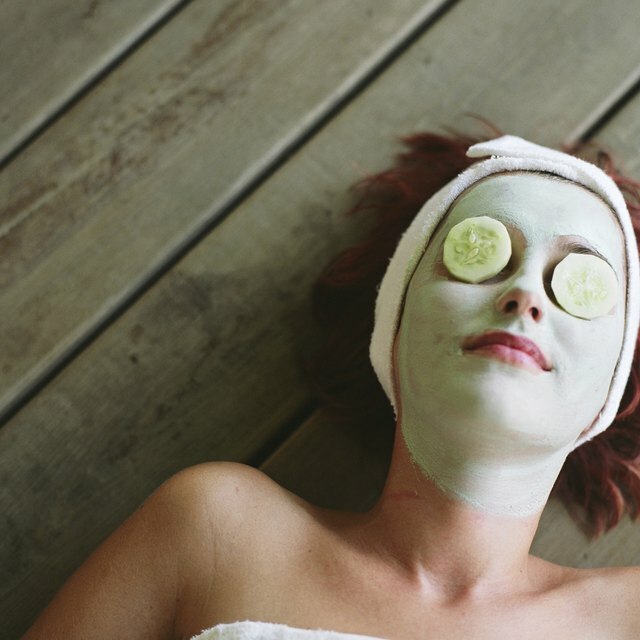 Making your own mask with dried kelp will ensure that you're getting the maximum benefits that kelp has to offer and none of the chemicals of commercially produced facial products. Mix the clay powder – available in most natural food or beauty stores – with a tablespoon of warm water until the clay is fully hydrated. Use a clean wooden spoon -- not a metal one, which can contaminate your mask with toxins. Add the yogurt and kelp powder – also found in natural food and beauty supply stores – and mix until all ingredients are well blended. Choose an invigorating natural oil essence. Peppermint is recommended because it leaves a pleasant tingling feeling. Put one or two drops of your preferred oil essence into the mask mixture and stir until well blended. Refrigerate for two to four hours. Clean your face with a gentle natural cleanser. Use lukewarm water to rinse. Pat your face with a towel, leaving the skin somewhat damp. Remove your mask from the refrigerator and stir well. Apply the mask using your index and middle finger. Apply around the eye socket bone, but not above or on your eyelids. Cover your cheeks, chin, nose and forehead with the mask. Leave the kelp mask on for 10 minutes until it hardens. Take a warm washcloth and gently wipe off the mask. Splash your face with lukewarm water for an additional rinse. Apply an all-natural light facial moisturizer.